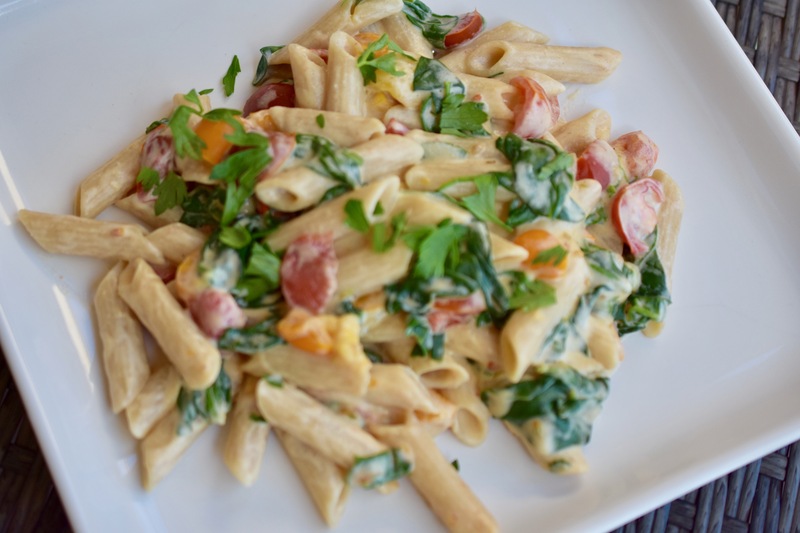 I made this penne dish using my new favorite sauce – Cashew Béchamel – Basic White Sauce. I had made some Creamed Spinach and decided to add it to penne and the medley of cherry tomatoes just looked so good I could not resist. I could eat the whole dish myself, but that would be selfish, so I will share. Cook penne according to package directions in a large pot. Before draining save some of the pasta water just in case to thin the sauce. Drain penne and return it to the pot. Add the tomatoes and stir. Stir in creamed spinach and the Cashew Béchamel Sauce, until the penne is thoroughly coated. Garnish with the herbs. This is a wonderful, simple recipe, especially if you have the Cashew Béchamel – Basic White Sauce in your refrigerator. It is a wonderful way to use up some greens that you have on hand and do not want a salad. It works well with kale, spinach and many other kinds of greens. It is packed with flavor and nutrients. In a large pan wilt the spinach over medium heat. Use vegetable stock as needed to wilt spinach. 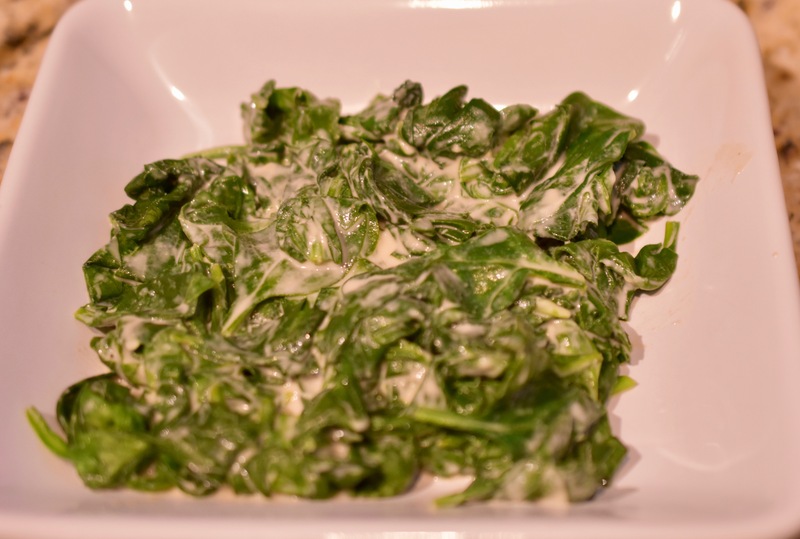 When the spinach is wilted add the Cashew Béchamel Sauce. Stir to coat the spinach leaves. Remove from heat. Note: This can be served over brown rice or in a pasta dish. That is what I did it was amazing. I will share that with you in an upcoming post.